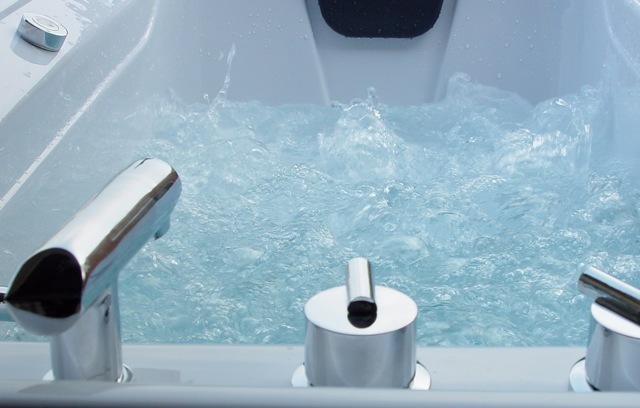 The air massage system features 16 individual air jets placed around the tub. These jets send relaxing air bubbles into the water, soothing your aching muscles and rejuvenating your entire body. Your hands, feet and limbs will feel fantastic after a bath with the Air Massage Therapy. The comforts and therapeutic treatments of a first class spa are brought to your own home. The hydro massage water jet therapy with in line heater massages your body in key areas like the lower back, feet and legs. With pneumatic controls at your finger tips you simply adjust the right amount of massage to suit your needs. No need to cut your bath short due to cooling water, the in line water heater maintains constant temperature allowing you to simply lie back and enjoy your bath for as long as you desire, relaxing aching joints and muscles. Designed to easily fit into an existing tub space without remodeling and adding extra expense, most of the installation can be usually be done within a matter of days. Professional installers take pride in their work and will spend the time necessary to insure the job is done correctly going over every detail. Not only will your bathroom be transformed into your very own spa, but most importantly you will be safe, comfortable and remain independent, while bathing.